EVGA has introduced a new iCX cooling and tuning technology for its GPUs that promises higher efficiency and better control compared to predecessors. The video cards feature multiple onboard thermal sensors and microcontrollers (MCUs) designed that enable users to precisely tune settings of their cards and monitor their state for potentially better performance, stability, and endurance. Modern high-end graphics adapters have three heat sources: the GPU silicon itself, the memory chips, and the VRM circuitry. To overclock a video card successfully, one needs to ensure that none of these components overheats under the higher voltage. While modern GPU silicon has built-in temperature sensors, memory chips do not (GDDR5X chips have integrated temperature sensors, rare GDDR5 ICs do too) and VRM temperature cannot be monitored without using special tools as well. 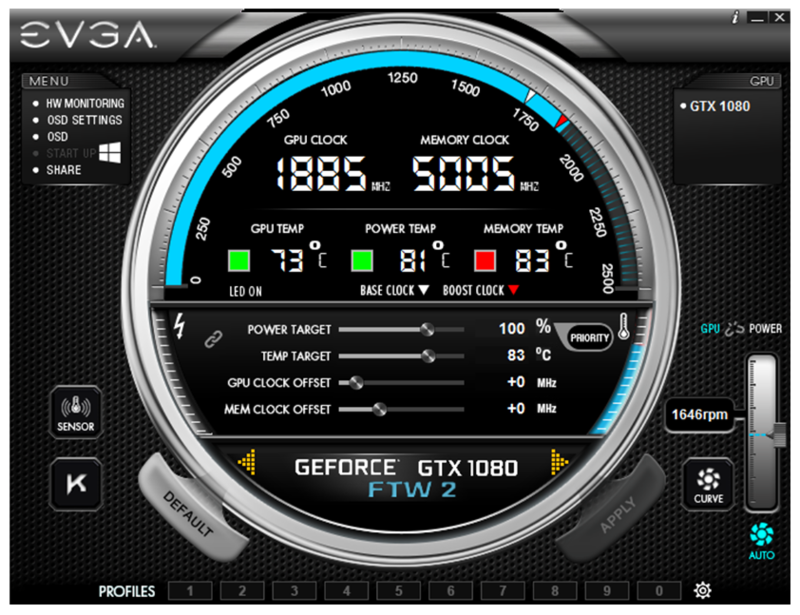 Motherboard manufacturers usually add onboard sensors for monitoring, and here EVGA is doing the same. Squeezing all the overclocking headroom from a graphics card may be complicated since it is not easy to determine which component is overheating due to the high load, and a typical response is to increase cooling to the whole card (which means increasing the speed of all the fans creating excessive noise). EVGA's new cooler design is meant to offer more control over what needs to be cooled. EVGA’s iCX technology uses nine thermal sensors on the graphics card to monitor GPU, VRM and memory temperatures and then its Precision XOC software can make decisions regarding cooling the components that actually require it. 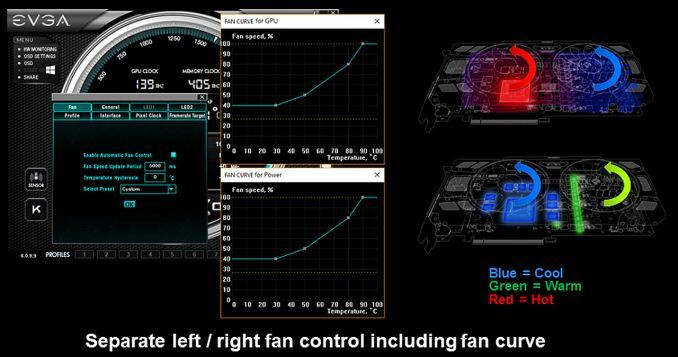 In a bid to cool-down VRM, the application increases the speed of the fan on the right-hand-side of the card, whereas when the GPU and memory need some extra cooling, the board speeds up the left fan. Fan speeds are regulated independently with their own temperature/power curves and therefore do not produce excessive noise unless needed. Alternatively, users can manually regulate GPU and memory frequencies as well as fan speeds using the Precision XOC software, and the fans will react accordingly. The app allows to set power and temperature targets and even create profiles for different occasions. In addition to the new PCB design and the Precision XOC software, the iCX package includes a new cooling system with redesigned heatsinks (which EVGA calls “purposefully-directed airflow chambers”). The latter now have small holes in their fins to make it easier for the air to pass through them. The heatsink fins are L-shaped to increase surface contact, and some fins are half open to maximize airflow. Finally, the cooler has a special thermal LED display system that reflects a combination value of the temperature of the GPU, memory and VRM, and can act as a visual aid to warn users of overheating (if the software does not do it for some reason). EVGA will use its iCX cooling initially on variants of NVIDIA cards that feature its proprietary PCBs (e.g., FTW2, SC2, etc. ), just like it uses the ACX-series coolers today. The initial family (see the tables for details) of add-in-boards with iCX includes three GTX 1080 parts, three GTX 1070 parts, and four GTX 1060 6GB/3GB cards. As usual, some of EVGA’s AIBs come factory overclocked and may have an increased TDP when compared to NVIDIA's reference designs. Due to different frequencies and TDPs, all the cards have different PCB designs and different VRMs, but the key components of the iCX (sensors, MCUs, two fans, safety fuse, etc.) are present on all iCX cards. 1080 SC2 GAMING iCX ($649.99) and the EVGA GeForce GTX 1070 SC2 GAMING iCX ($449.99). Those interested in other members of the new lineup may sign up for notification about their availability. Given that EVGA has already announced all the cards, they should hit the market in the coming weeks, but we are not sure whether all the remaining SKUs are going to arrive at the same time. As for pricing, the addition EVGA’s iCX cooling will come at a small premium. The cheapest EVGA GeForce GTX 1080 with iCX will be priced at $639.99 ($40 above NVIDIA’s MSRP), whereas the lowest-cost EVGA GeForce GTX 1070 with iCX will be sold for $439.99 ($60 above MSRP). Prices for EVGA’s GeForce GTX 1060 boards with iCX were given at this time. you can buy the basic version. When I bought my GTX 970, the EVGA ACX 2.0 Superclocked was the lowest priced variant on the market. 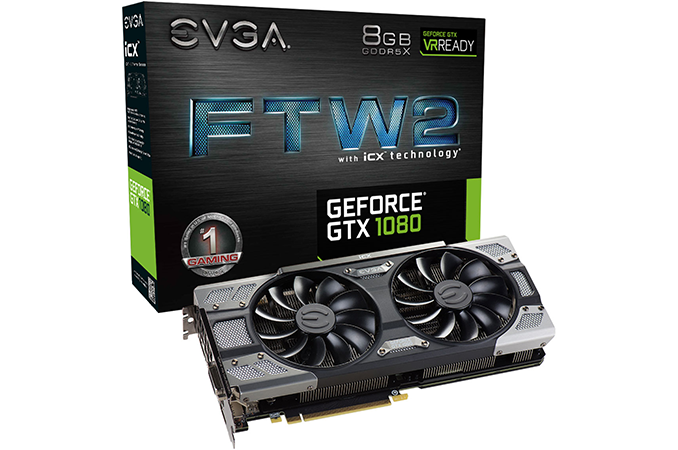 I didn't choose it because it was EVGA or because of the branding, I went ahead with the purchase because I saw the larger factory overclock and dual fan HSF as value added features over other GTX 970s at the same pricepoint at the time.